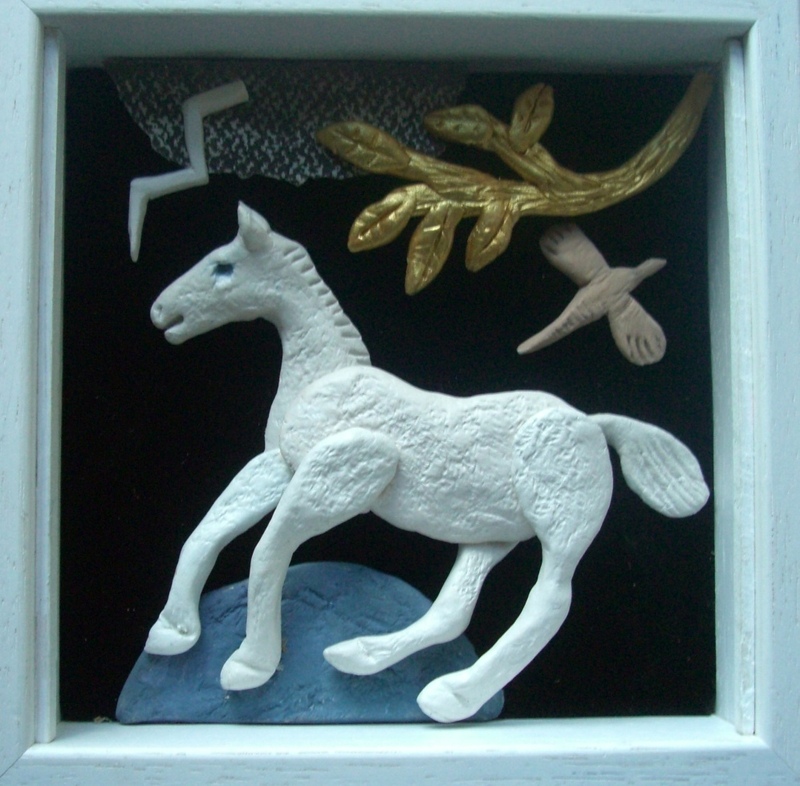 This new piece was titled Bonny white mare but as I put it together it reminded me of that Stubbs painting ‘horse frightened by lightening’. I was horse mad and fascinated by Stubbs as a child – by all those gleaming coats and wild eyes. This entry was posted in Uncategorized and tagged art in a box, George Stubbs, horse, horse sculpture, nichos, relief sculpture on January 29, 2015 by chestnutandhazelnut.